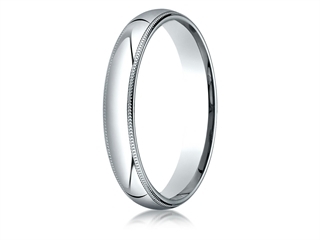 This attractive Benchmark® Platinum 4mm Slightly Domed Standard Comfort-fit Wedding Band / Ring With Milgrain. This product measures 4.00 wide. 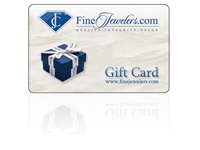 Designer: Benchmark - You have plenty of options when you"re searching for wedding bands, so why Benchmark? 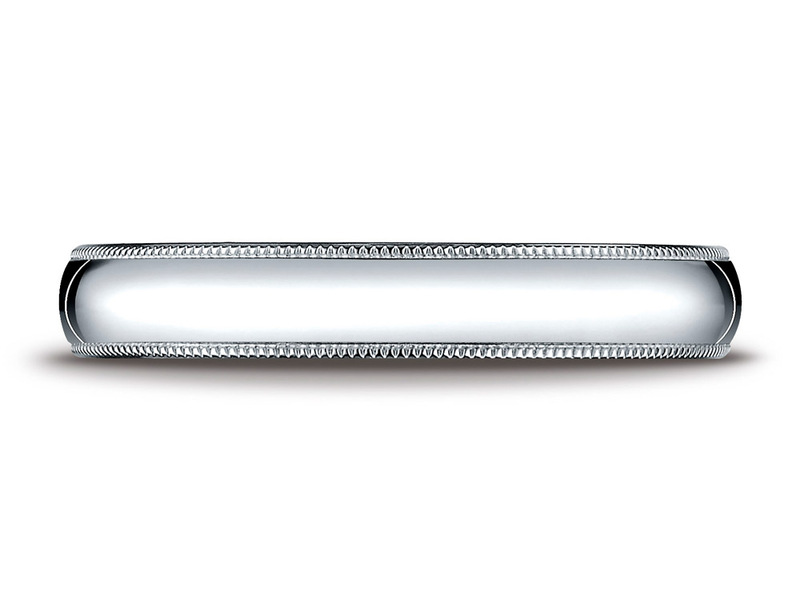 We created Benchmark more than 40 years ago with one goal in mind: to become wedding ring specialists. Every thing we do, every decision we make is based on our desire to provide the highest quality product with outstanding customer service. * Size subject to a sizing and a restocking fee. For more information select size and click on "Buy Now!ï¿½.